3501/3502 | In-line filters | Oil filters | TAISEI KOGYO Co., Ltd.
TThe line filter is installed in-line to maintain the oil purity level in the hydraulic piping and protect hydraulic equipment from contaminants. Standard specifications Possible corresponding specifications / options, etc. Connection The 3501 type is G threaded type only. The 3502 type is weld type only. *1 For fluids other than the above fluids. *2 For general oil-based fluid specifications and water glycol oil specifications, the filtering material and design may be differ even with the same filtration accuracy. 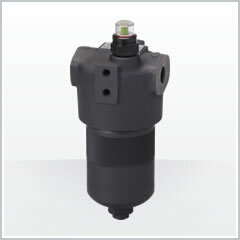 *4 No relief valve for high pressure elements.